Weeks before we closed on our little house I had already planned my first act as a new homeowner. It was something I could never dare do as a renter. I wanted some black framed windows. Pinterest helped me find my muse and after looking at photos online I knew what I needed to do with my own windows to get the look. 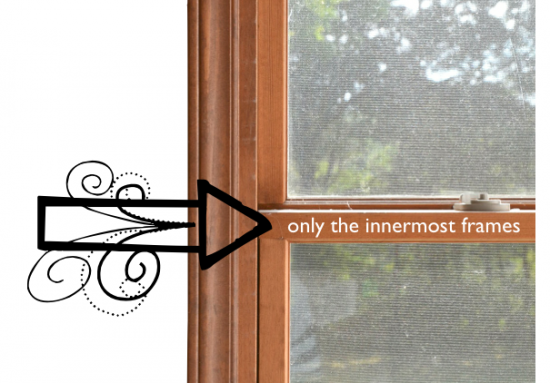 If you are like me and starting off with wood windows then it’s a two step process. 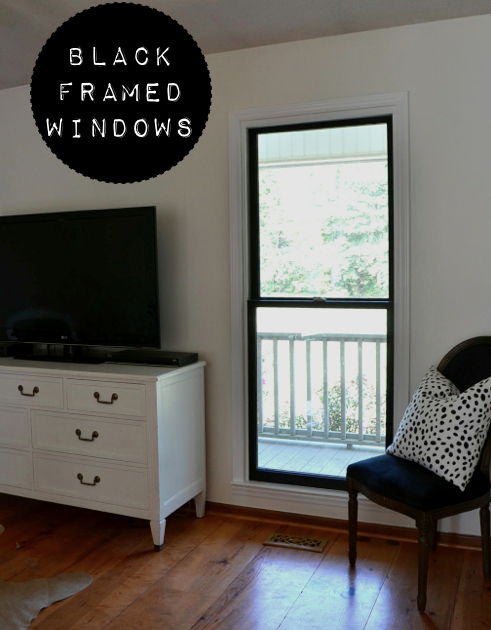 If you already have windows with white casings, then you are so lucky and can do this quick little update in one easy step! I used BEHR interior enamel paint plus primer in an eggshell finish for the black frames. I asked the paint man for the blackiest black paint he had and he mixed this up for me. I used the paint plus primer just in case since I was painting over wood but I really don’t think it made a difference. And I usually lean to the flatest paint I can without using actual flat paint. I’ve found it sticks better the flatter it is. But, I wanted a little sheen so for the black I used eggshell. 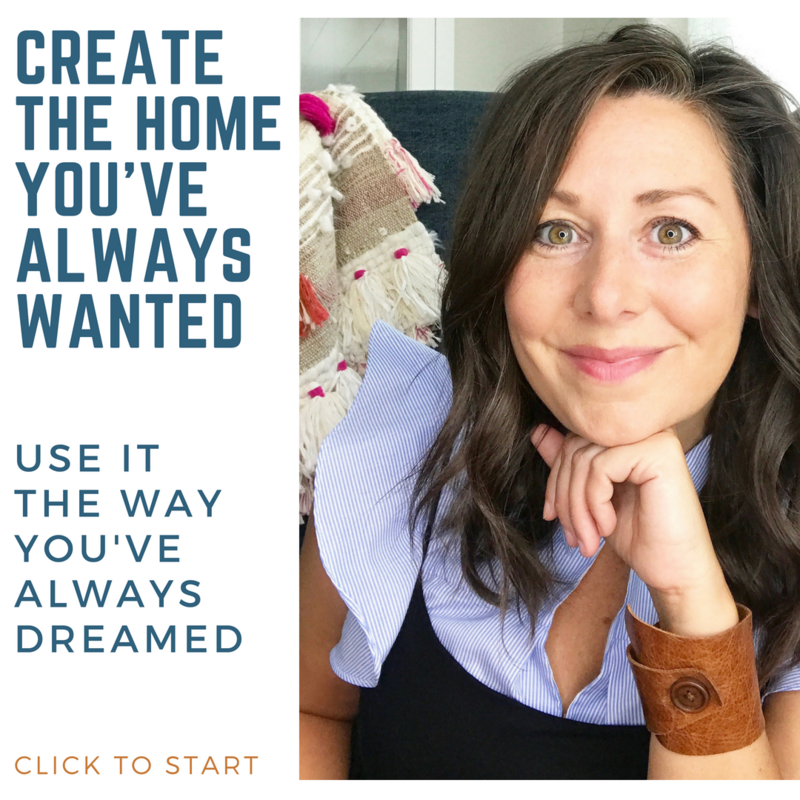 This is a really easy project with HUGE results. The most difficult part is deciding that you want to actually do it and on what windows. 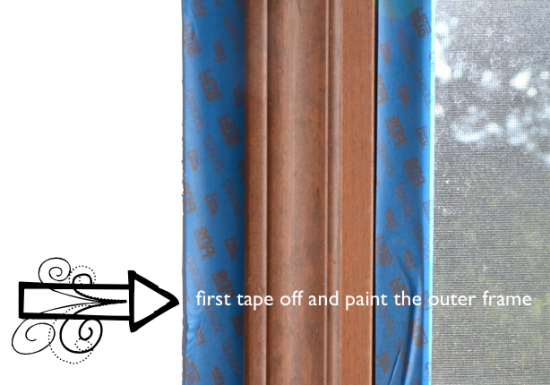 If you are like me and starting with raw windows or windows that need a fresh coat of paint on the casing then tape the surrounding parts off first with your painter’s tape. 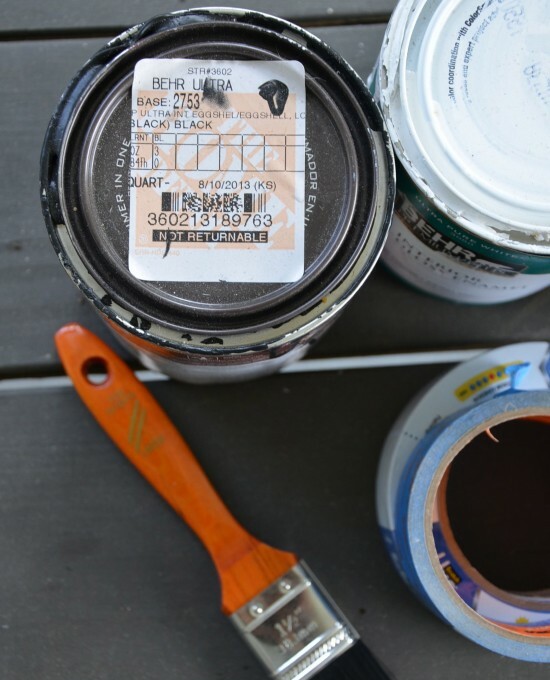 If you are painting over raw wood or a dark color first paint a coat or two of primer. Don’t be like me and not think and remove your tape before you paint all of your coats. Here’s what it looks like primed. Kind of splotchy but it doesn’t matter because your paint will hide all of that. 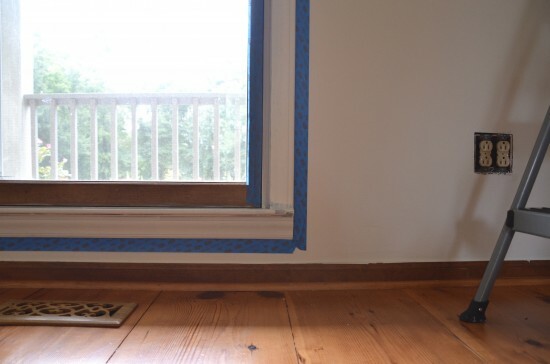 And, be sure to leave your tape on until you paint all of the coats you need primer (if needed) and a coat or two of paint (if your window casing isn’t already the color you want). I left my tape on for days and just to make sure everything released after three or four coats of primer and paint I used a razor to quickly cut along the edges where the paint met the casing. This photo is before the last coat of paint. Once your casing is the color you want then you need to make sure it’s had a day to dry and go back and tape off so you can paint your black frames. Now you want to protect your pretty white casing and your glass from getting black paint on them. So tape away. Next, paint the inner frames black. This part goes really fast and I only used one coat of paint. If I ever decide that I hate the black part, it will be easy to paint back over that part with primer and white paint. Now for the best part…peeling off the tape! 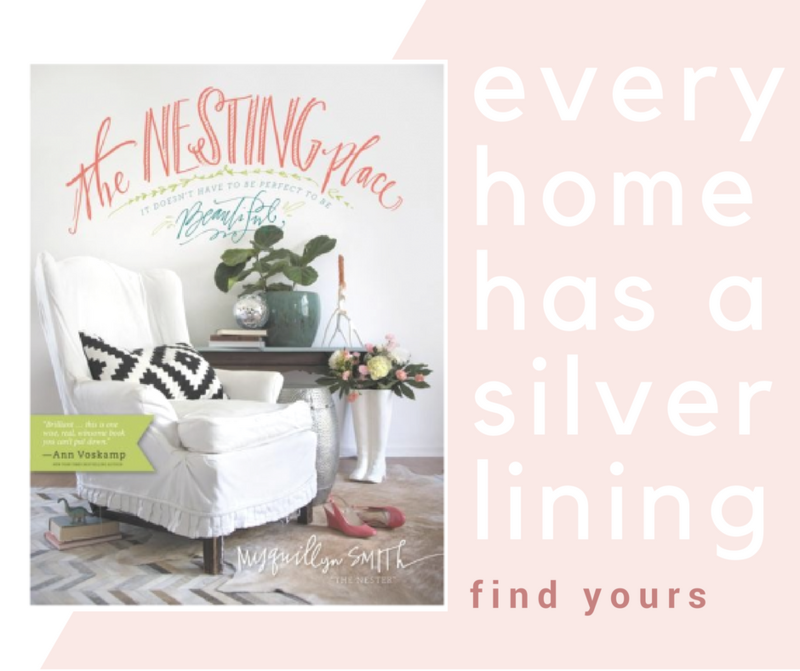 This is the fun part and your husband and children will offer to do this part for you because it is so rewarding and easy. Do not, under any circumstances let them do this, you’ve earned this, YOU get to remove the tape! Also, once I painted the casing white I noticed some gaps so I just used some white, paintable wood filler to fill in the gaps. Up there was a spot I didn’t see until after I did the last coat of paint and it dried, I was so happy to find that if I was careful with the wood filler stuff, I didn’t even need to touch it up with paint! Oh. Yeah. Didn’t even have to scrape the windows. It is close to impossible to get a closeup of dark window frames in the daylight. But I promise they make a huge difference. The black frames almost act as a picture frame and our yard has become like art on our walls. I feel like we can see outside so much better now. (Bonus, don’t forget to remove your screens for an even brighter view!). 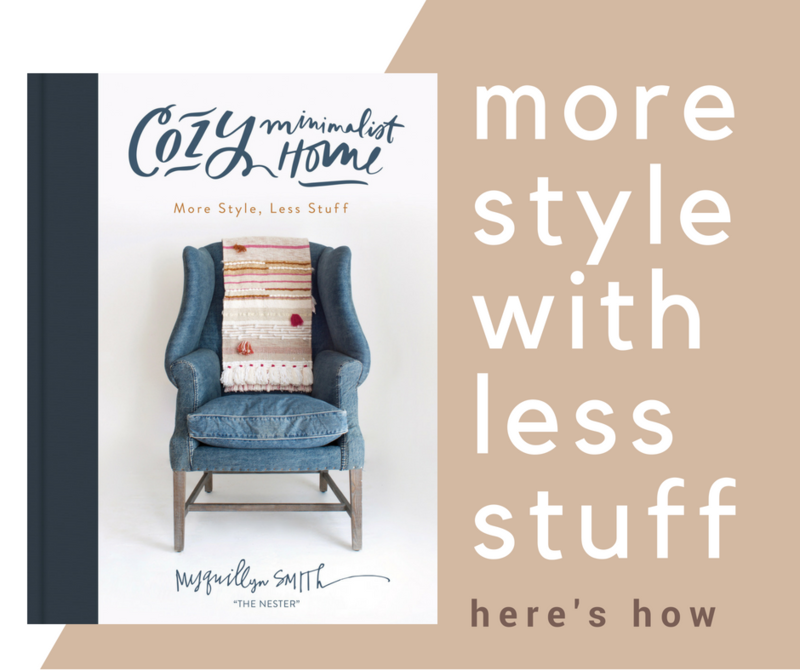 This is a great little project for just one special room in the house like a laundry room or kitchen. Just like there’s no rule that says all your window treatments must be exactly alike in every room, there’s no rule that says all your trim must be painted alike. 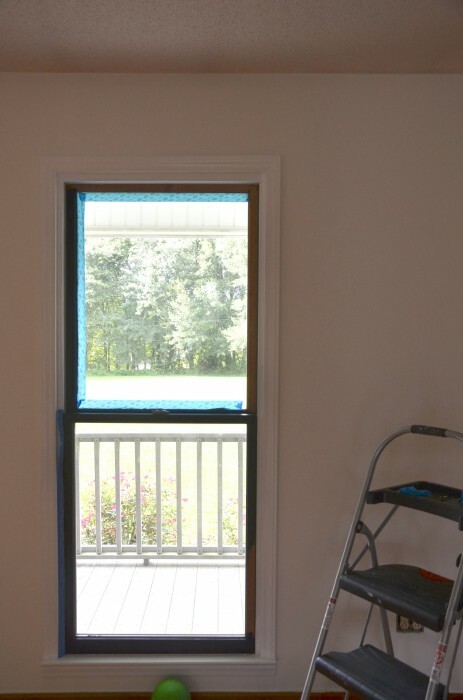 Here’s the window in the dining room painted with black frames. This room now opens up to the kitchen so I’m planning on doing the same treatment to the bay window. The rest of the house has wood windows too but I as of now I think I’m keeping the rest of them wood. I also love your pine floors. Can’t wait to see how the kitchen turns out! I know it will be great. I look forward to news posts about your adventure. How well does that work on vinyl windows? Love the look! 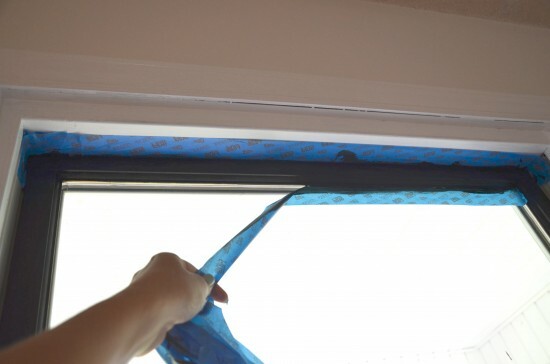 I’ll have to see if we have something similar to Scotch Blue tape over here in Sweden. 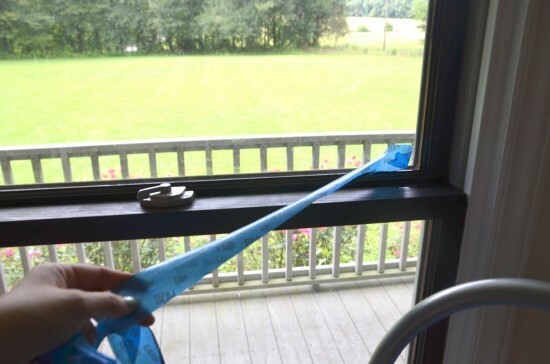 I have 3 windows that currently need to be scraped of paint, so next time I’ll try to use blue tape. So excited to follow your journey. Also, I read your post about clean floors and it’s inspired me a few times already. Clean floors really do make a huge difference. Now there is something I would have never though of, but I love it! I’ve never seen this! The dining room window looks great. I’m with you on the screens. We have a sunroom at the back of the house and those are the only windows we use screens on (and only in weather we’d open the windows). I hate looking through screens. 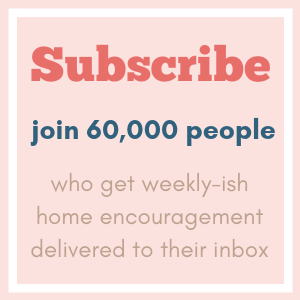 Stumbled upon your blog a few months ago and am so glad I did! Love to see what you are doing to the house and barn/shed! Can’t wait to see what you will do with the fireplace, ours is big ol’ ugly strange designed brick! Would you ever give suggestions if I sent a photo? Thanks for your inspirations! 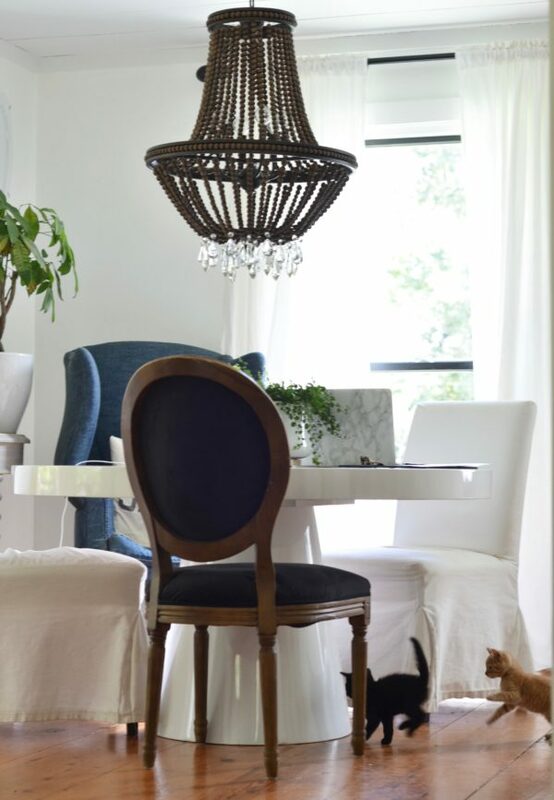 Love those black frames…can’t wait to see your house all done…good for you! Nester – I am so happy for you and your new adventure….it is so fun to follow along all of your great progress so far. Thanks for the inspiration. I live in Carolina Beach and never pictured anything black in my house because Im not so sure it would go well with a coastal theme. But I’ve been starting to rethink it. This post has me double rethinking it. 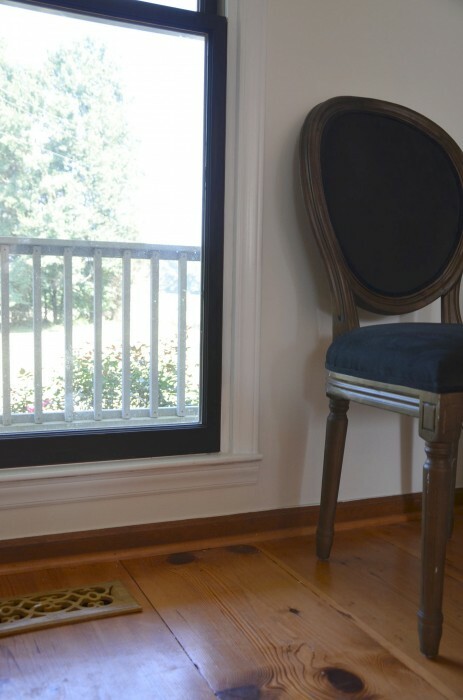 A black window frame would be the perfect (and inexpensive) accent piece just to try it out. Me likey. Gracias. I also never would have thought of this, and I love it! The way it frames the outdoors is perfect. 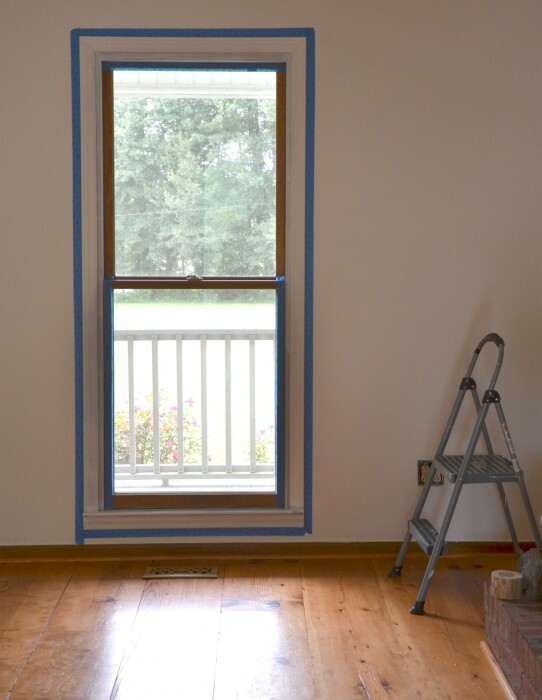 Now I want a new house that where I can paint the trim…someday. Very cool. My son, a carpenter, was just talking to me tonight about painting black frames in my white wood kitchen light. It’s the same idea as a window on the ceiling. I’m thinking I might just do it. Love your windows. Love the look but I have a question. I can understand why you taped the wall when you painted the outer casing but why tape the smaller frame? If you are painting the inner casing black, why would a little white paint make any difference? Am I missing something? 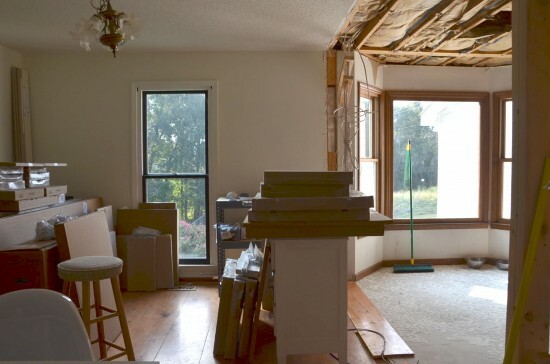 Wait…..there’s NO RULE that says all of your window treatments have to be alike in one room. I could swear I read that in the Decorator’s Bible. Thanks for setting me straight and freeing me to make some changes! I love your black window frames in the living room! They look so sharp next to the white. Thanks for the reminder that it’s okay to switch it up! I did this last year in my kitchen. Just the window above the sink. It’s an amazing difference – love it. Jae, that’s the PERFECT place to try it out–the window above the sink! It looks stunning! I agree! Jae, that looks amazing. I totally get that. Thank you for appreciating the ordinary moments of life. It reminds me that’s where “life happens.” There is a gratefulness that permeates your posts; it’s contagious. I LOVE black window frames, I think they make such a statement and they’re gorgeous. If we still had wood windows, I’d be all over a project like this…but alas we have vinyl in our new (to us, was built in 1906) house. I think one day when our vinyl windows need replacing, we’ll probably splurge for period appropriate reproduction wood windows….but we’ll see. I love this, what a fabulous idea! And wood windows, they are so nice. Thank you for this tutorial! 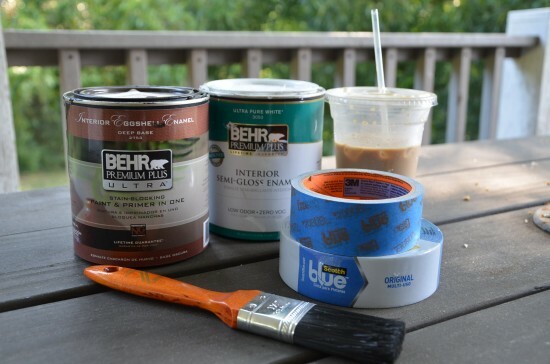 I’ve been wanting to paint my windows for a long time and have been afraid to start. Yours look amazing! Stunning! 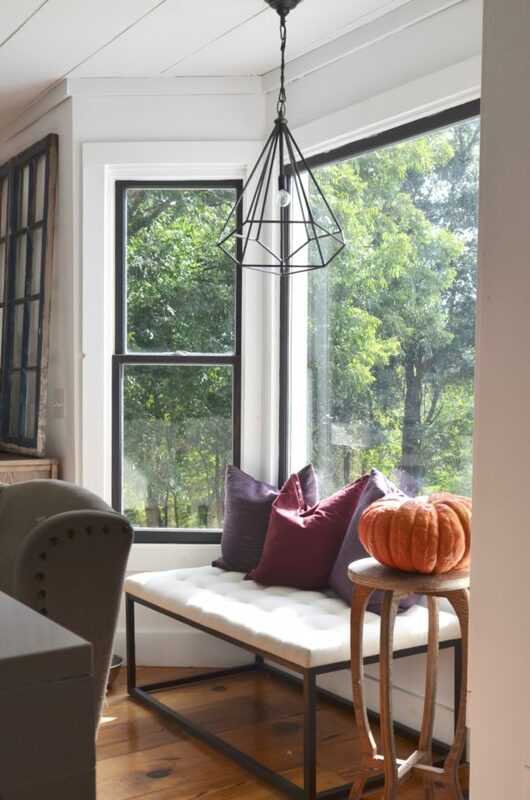 I never would have thought of black for window frames, but it really looks lovely. Your black window frames are really striking! Well done! I have to say, though, what I am most excited about in this post is the fact that you will keep the rest of your window trim in natural wood. 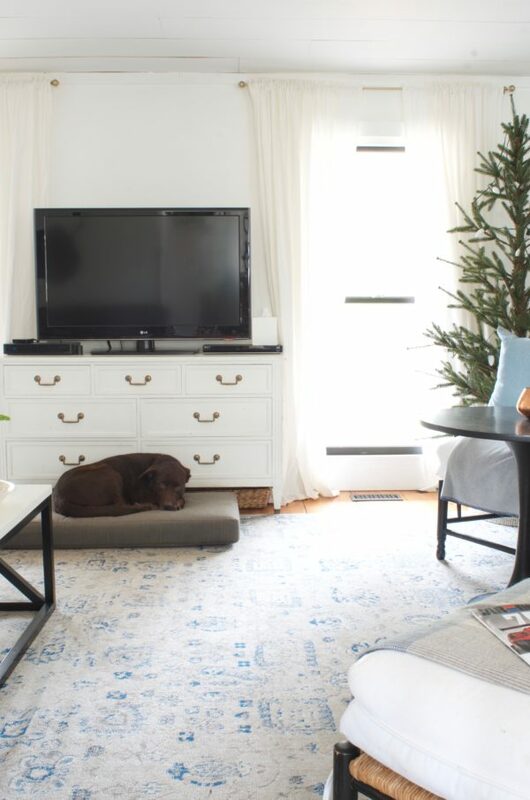 I have natural wood trim in my new home and it’s rare to find home blogs to take inspiration from. Good luck with the rest of your projects – it’s really looking nice! 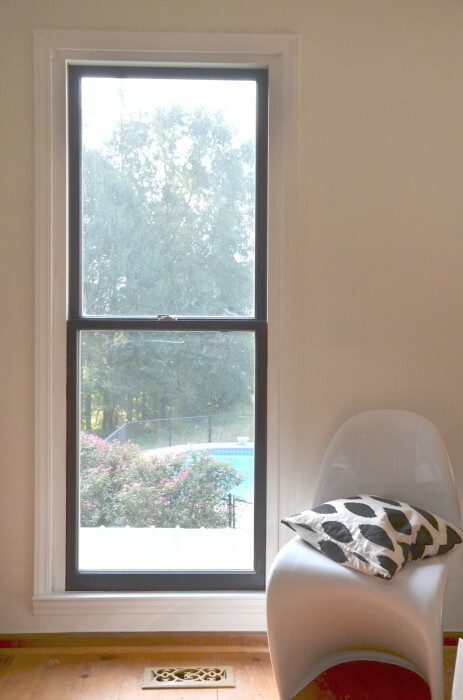 SO in love with black paned windows! Love it! We have vinyl new(ish) windows as well so I don’t think we can paint that. Also, the vinyl is tan/taupe but our window casing is that 60s orange color. I’d love to paint all casing white or off white but would that make the taupe windows look ridiculous? Not that they look great currently…. I would have never had thought to do this, but I love it! Love the look, especially the no screen thing. Just a thought from another country girl though, uhm, sometimes in the country little “critters” take a trip across porches. And, well, uhm, if windows are open, well, those “critters” might get curious about inside the house, and well, ugly unattractive screens are better than unwelcome “critters”. Just sayin. It’s something to consider in the country. So love the look of no screens – and the black – and so wish I could pull it off, but those little “critters” need to stay outside not crawl through my low to the ground open windows. Without AC we have to have those windows open for air. Anyway, lovin’ that black. Congrats on the house! Hi Nester! I love this look! 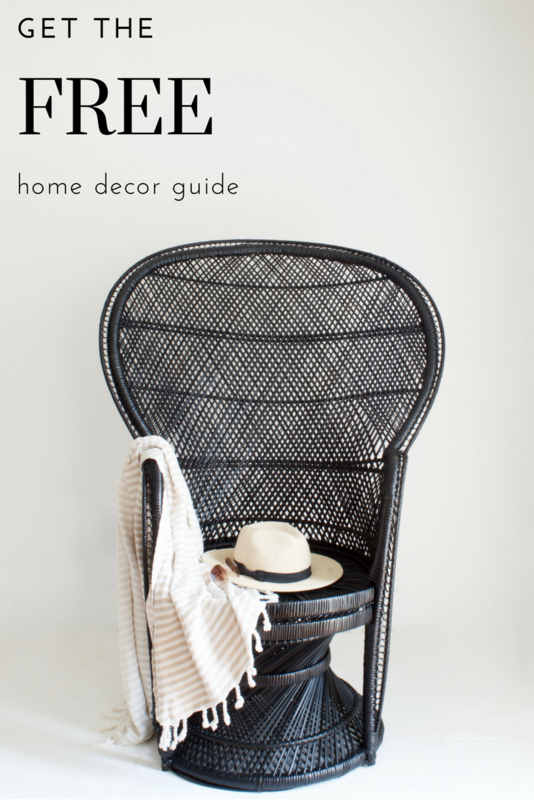 I noticed your round back chair with the black fabric seat and back…is that the chair from World Market? I went to look at those twice this weekend debating. Love the style of the chair and the price but wasn’t sure about the wood. It looked very “pressed”. So, any thoughts? Are you happy with it? Looks nice and fresh! Great job! I love this look. Our neighbors have black on the outside of their windows and if I had thought about it, I would do that too as we change out all of our old windows. That’s not the case though and I’m definitely not touching our new windows with paint. Live and learn I guess. This is one of those things I haven’t been able to make up my mind if I like or not. I think I like black window frames in other people’s windows but not my own, if that makes sense. Hi! I had a question. I started painting the windows in my house and I ran into a problem that is making me rethink the project. Everything turned out great…except for on the “inner-most frame” :) where the window closes at the bottom, it rubs and stuck and peeled the paint right off. I used primer and a semi-gloss paint. 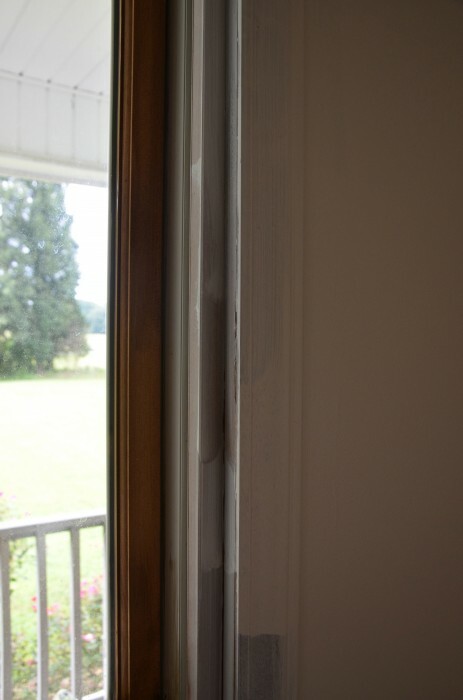 Have you had this problem at all with your painted windows? Thanks! Hey there. I have been looking up painting white vinyl windows BLACK and all the advice says to NOT do it! Granted, It all refers to the outdoors side of the window, where the paint would absorb the sunlight and the windows would warp! I wonder if this would happen on the indoor side of the window too if direct sunlight comes through there. Anybody out there know? Well, I just came across this and love the black window frames. Thanks for the tutorial! Also, love your kitties, which I know are full grown now. We have a kitten about that size in the buff color, and I admire you for getting a black kitten also since I know that they are hard to place (we have a tuxedo). Love this idea!!! Thank you!! !